New kits at RPM Chicagoland! The Resin Car Works minions have been working hard in preparation for the upcoming RPM Chicagoland meet October 20-22 in Lisle, IL. Yes, those dates are at the end of this week. Parts have come together, instructions are written, and many boxes have been filled with the goods. We look forward to debuting two new HO scale resin freight car kits! Our crew of painting and decaling minions finally came off of their coffee break to complete sample models so we can share images before the RPM meet. 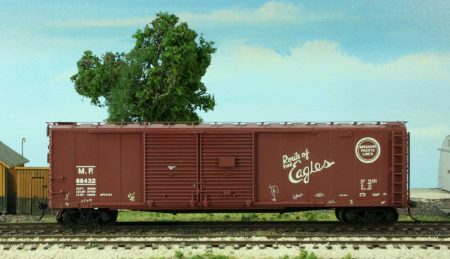 As previously announced, we are excited to bring a Missouri Pacific automobile and express car to HO scale freight car modelers. This kit is a homage to Martin Lofton, of Sunshine Models, the founder of the Chicago area RPM meets 23 years ago. The MP box car kit (Resin Car Works kit 5.01) will be for sale at RPM Chicagoland for $65 each, plus the combined local and state 7% sales tax. The car sides are thicker than usual and require more resin, which has increased the cost. We have a limited number of these kits to sell but we will make more and have them for sale via mail order through our website later in October or in early November. We are thrilled to debut an HO scale UTLX 10,000 gallon, X-3 tank car at RPM Chicagoland. This is an all new HO scale resin freight car kit that can represent nearly 13,000 prototype tank cars. 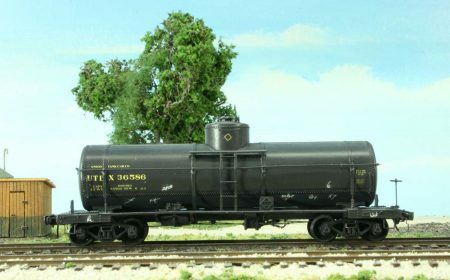 We announced this kit a couple of months ago and many modelers are excited to see this classic UTLX tank car design available again. UTLX took delivery of 1000 cars built as AC&F lot 89A in 1923. Photo from Frank Hodina Collection. 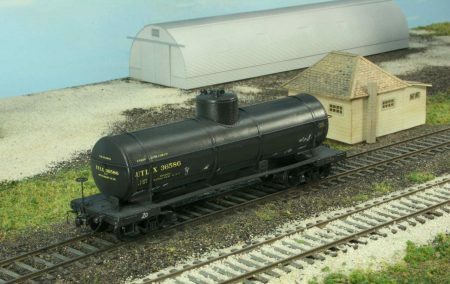 The UTLX tank car kits (Resin Car Works kit 4.01) will be for sale at RPM Chicagoland for $60 each, plus the combined local and state 7% sales tax. We will have a limited number of these kits, too. But we will have more for sale via mail order through our website later in October or in early November. We hope to meet you at the upcoming RPM Chicagoland meet, October 20-22 in Lisle, IL. 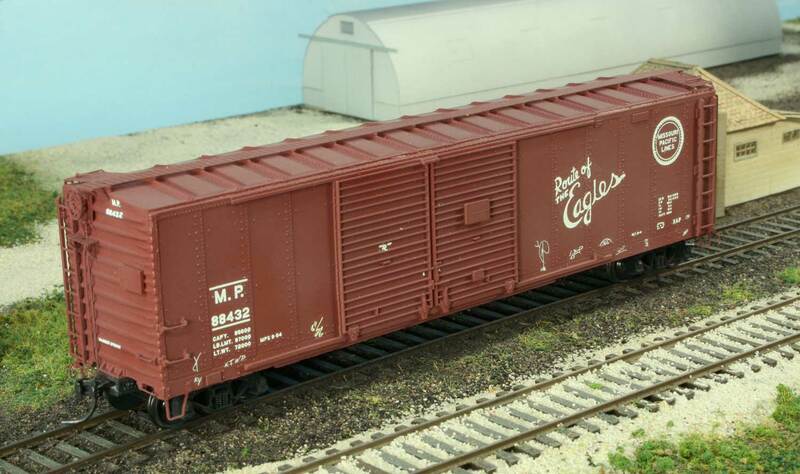 We will have other kits on hand to sell; grain bins, boiler loads, Illinois Central Hopper kits, and several decal sets. The traditional focus of RPM Chicagoland is on the informative presentations. More than 36 presentations are schedule for the event, including these special Model Finishing demonstrations so your resin freight car kits can look even better. Airbrush 101 & Airbrush Weathering w/Alan Houtz – Alan Houtz of Iwata has been a fixture the past couple of years and this year he returns to talk about the basics of airbrushing as well as offering tips and techniques to combine airbrush weathering with other mediums. Weathering with PanPastels, an Update w/Rob Manley – A discussion of my years of using and demonstrating PanPastels, a professional artist grade product, in the fine art of Model railroading. Various tips, techniques and lessons learned while demonstrating and writing the company blog. Samples are available for in class experimenting. Please bring models overcoated with a flat finish for best results. Airbrush 101 & Airbrushing with Acrylic Paints w/Bill Welch – This will be a “Shopper’s Guide” with tips about which airbrushes work best with Acrylic Paints. The second part will focus on tips about how to Airbrush with Acrylic Paints. “Live Fire” with Acrylic Paints w/Bill Welch – This is an opportunity to try out painting a freight car body with Badger’s Modelflex Paint and an airbrush set-up to spray Acrylic Paint. Advance sign-up at the Chicagoland RPM. We are looking forward to a great event. See you there!